March 2015 – PowerVac have been awarded the Tennant Australia Dealer of the Year award at the annual Tennant Distributor Conference. 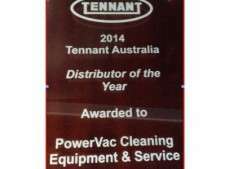 PowerVac is very proud to be recognised as the leading dealer of Tennant products in Australia. The 2014 award goes into the trophy cabinet with PowerVac’s 2008 and 2010 Tennant dealer of the year awards. Feburary 2015 – PowerVac has been awarded the West Australian Nilfisk Dealer of the Year award for 2014. 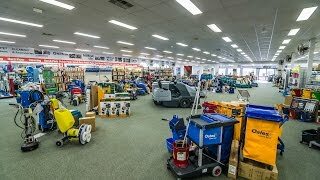 Again PowerVac is proud to be recognised as a leading distributor of quality cleaning equipment.